VenAir Silicone Hose Kit - Induction - Dezod Motorsports Inc - Home of the automotive performance enthusiast since 2002. Venair Silicone Hoses are hand crafted using the highest quality VMQ silicone. Every hose is subject to strict quality controls. Venair Silicone hoses can withstand far higher & lower temperatures than the standard EPDM rubber hoses commonly found in OEM engines. 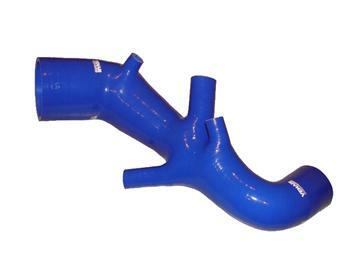 Silicone hoses are the preferred choice for motorsports teams and enthusiasts alike because of their increased durability and performance and their amazing high gloss finish that is available in a variety of colors. Silicone is ideal for water, forced air applications, induction joints, dump valves, air lines and many other uses and industrial applications. In addition, it is suitable for all coolant hoses, washer tubes, air hoses, vacuum hoses, water hoses and more. This hose kit is ideal for upgrading a car’s engine bay appearance and is used by serious motor sport users who demand the best performance upgrade.